On the 4-hour chart, the upward movement is being corrected, the pair is trading near the upper border of Bollinger bands, the price range is expanded, indicating a likely resumption of growth. The MACD histogram is in the positive area, the signal line crosses the zero one and the body of the histogram upwards, forming a signal to open long positions. Stochastic crossed the overbought zone downwards, forming a sell signal. 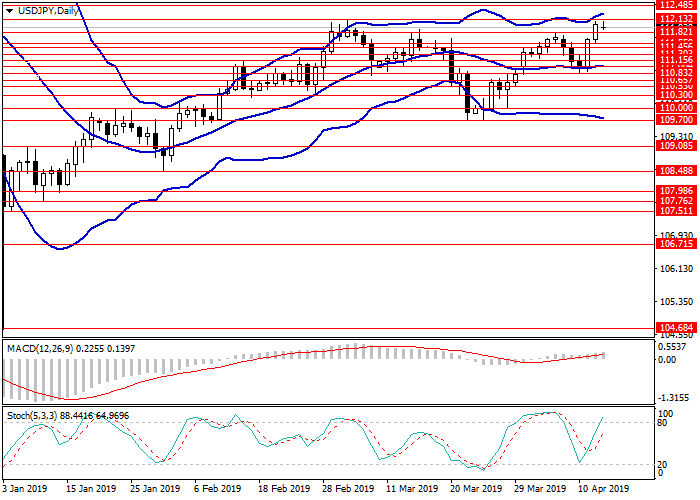 On the daily chart, the instrument is moving within a sideways channel formed by the middle line and the upper border of Bollinger bands, the upward trend is still relevant. The MACD histogram is around ​​the zero line, its volumes are minimal. 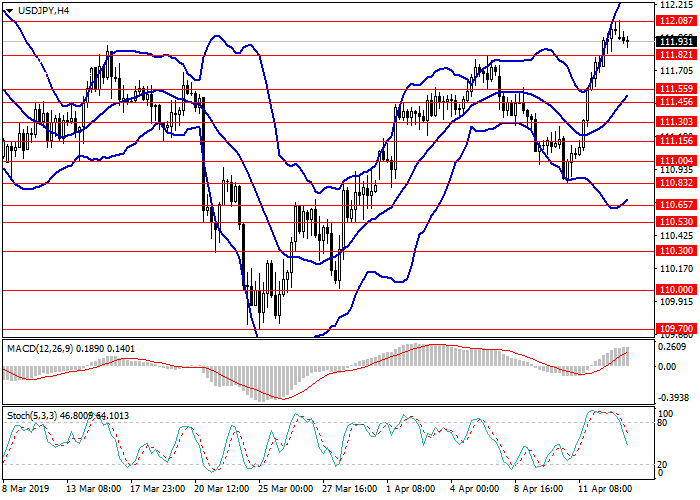 Stochastic is in the neutral zone, the signal line of the oscillator reversed upwards. Resistance levels: 112.13, 112.48, 112.83. Support levels: 111.82, 111.55, 111.45, 111.30, 111.15, 111.00, 110.83, 110.65. 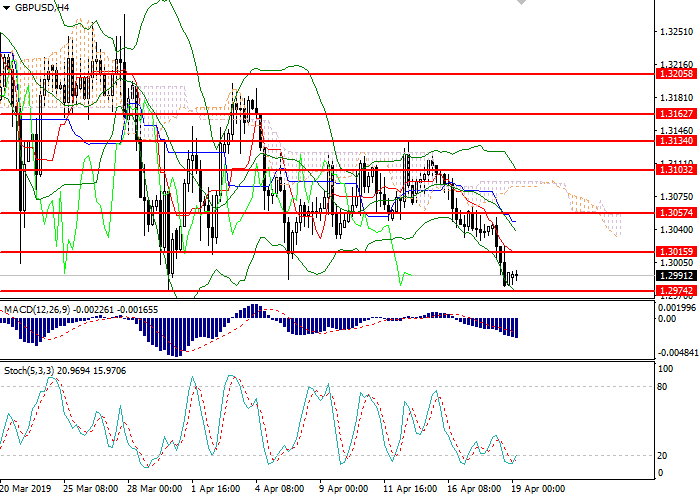 Long positions can be opened from the level of 112.10 with the target at 112.80. Stop loss is 111.80. Short positions can be opened from the level of 111.45 with the target at 111.00 and stop loss 111.75.